1. Once you have finished installing Loong: The Power of the Dragon you can start the game from the Start menu or by clicking the shortcut on your desktop. 2. The Loong client will now open. Your game will automatically install any available updates. Once updated, you can launch the game by clicking: "Play Now". 3. You will now be taken to the server selection screen. 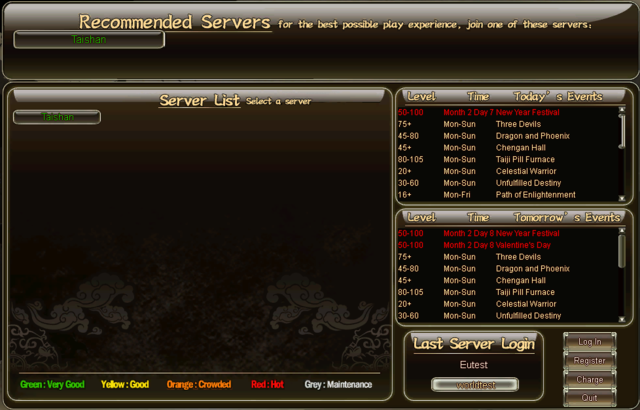 Choose your desired server and click: "login"
4. Enter your Username and Password. 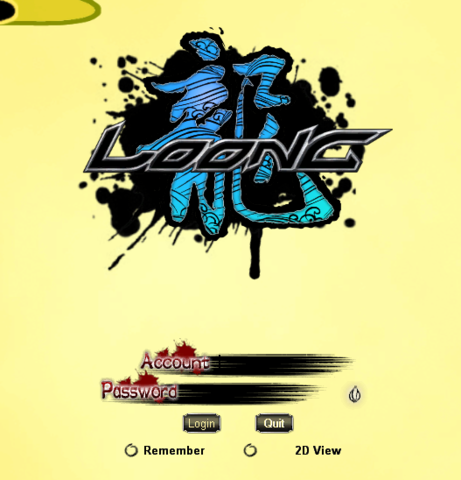 If you do not have an account for Loong yet, you can register for one Here.